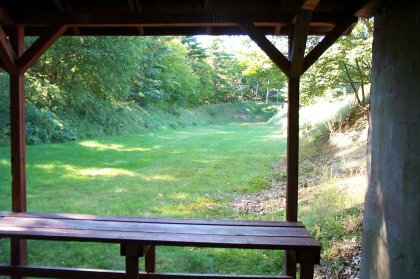 The outdoor rifle range at Tewksbury Rod & Gun is a 100 yard range. This range can only be used in the presence of an Outdoor Range Officer. This range is open to all rifles, with the exceptions being machine guns and submachine guns. No full auto, or "hell fire" triggers, are allowed. There are target holders at 50, 75, and 100 yards. No targets are allowed closer than 50 yards. Handguns maybe used on this range provided that target holders are no closer than 50 yards, or permission from the range officer is obtained to move the firing line closer to the 100 yard berm.